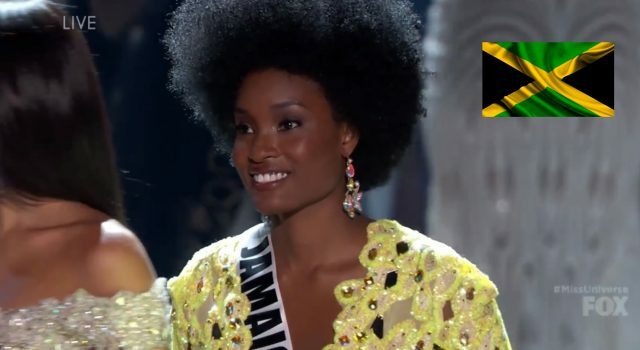 Jamaica’s Davina Bennet was named 2nd runner-up at the 2017 Miss Universe pageant held at The AXIS at Planet Hollywood in Las Vegas, Nevada, United States. Miss South Africa, Demi-Leigh Nel-Peters, was crowned Miss Universe 2017 while Miss Colombia, Laura González, was named 1st runner-up. Contestants from 92 countries and territories participated in this year’s pageant, surpassing the previous record of 89 contestants in 2011 and 2012. Iris Mittenaere from France crowned her successor at the end of the night. Bennett was crowned by Miss Universe Jamaica 2017 Isabel Dalley at the Jamaica Pegasus hotel on Saturday, August 26, at the grand coronation held at the Jamaica Pegasus hotel in Kingston.